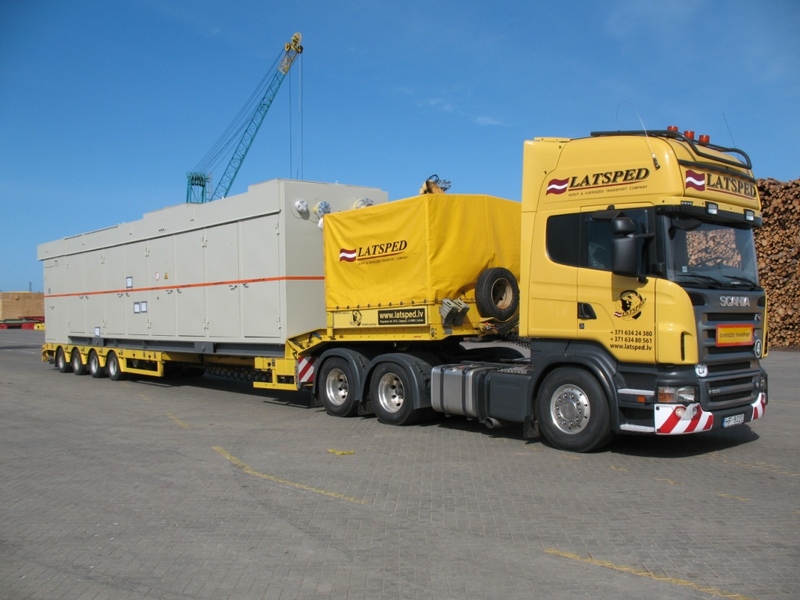 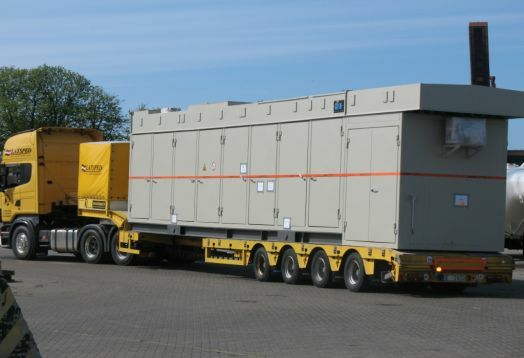 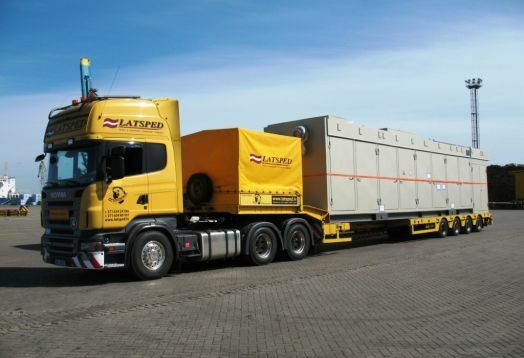 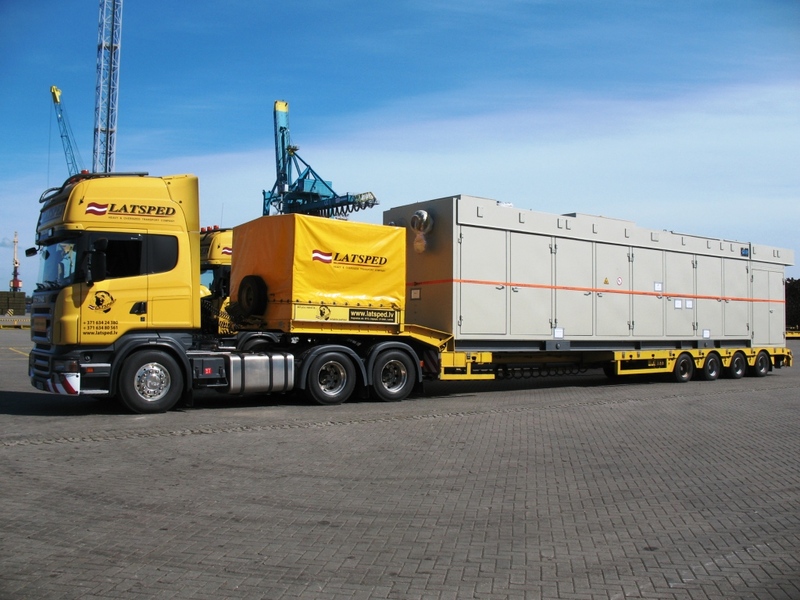 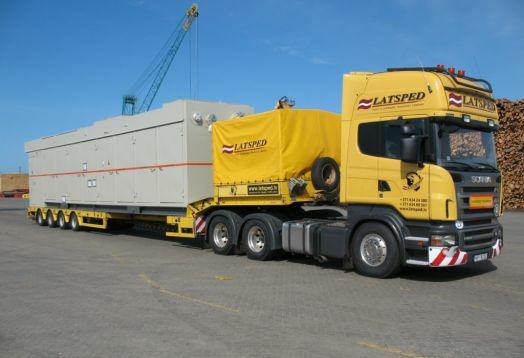 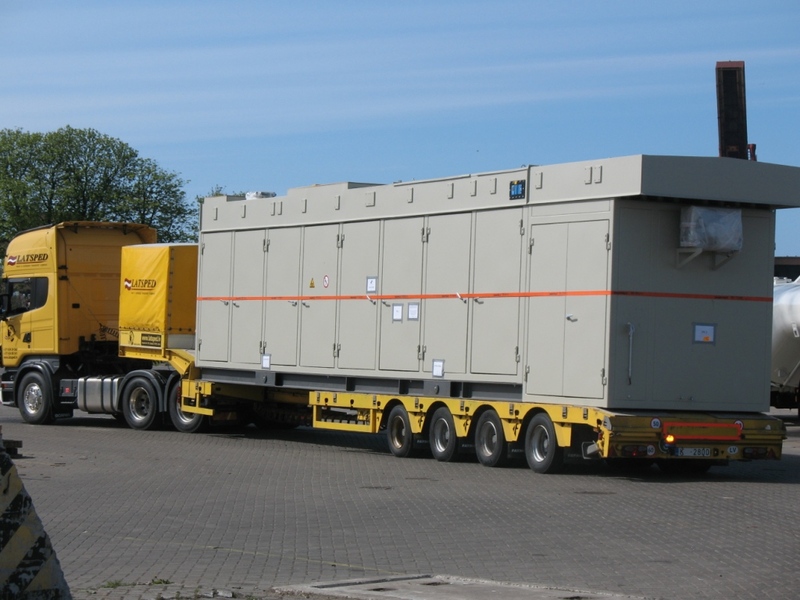 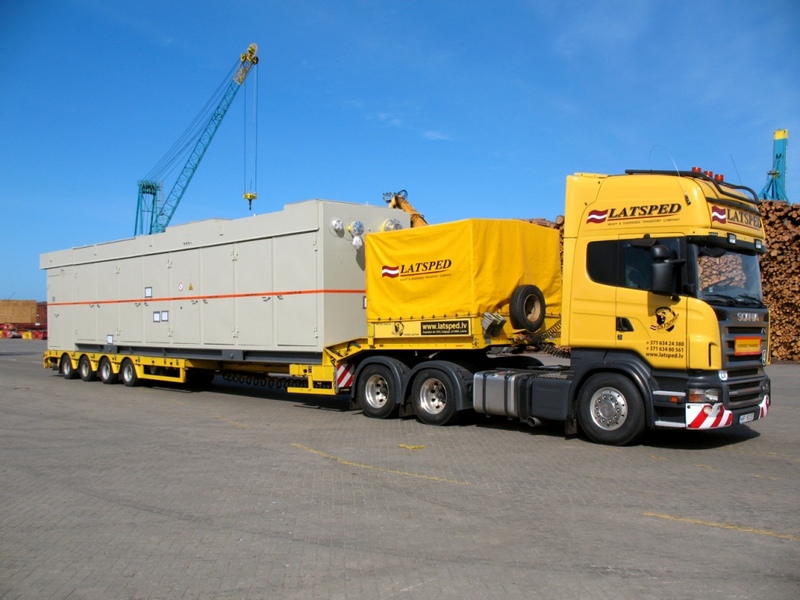 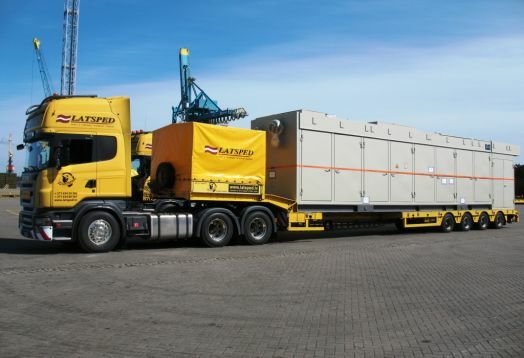 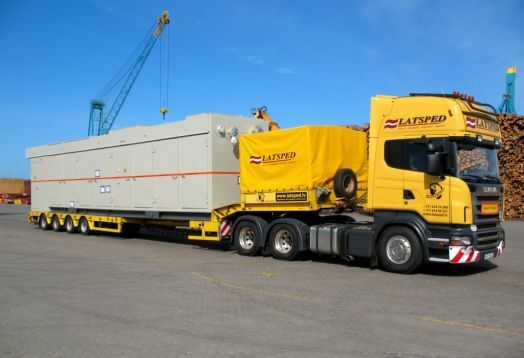 In the summer of 2007 LATSPED delivered industrial equipment – two compressors – from Port Ventspils (Latvia) to Tambov (Russia). The total weight of semitrailer truck with compressor on board was 54 tons, considering wheel arrangement 3 + 4. 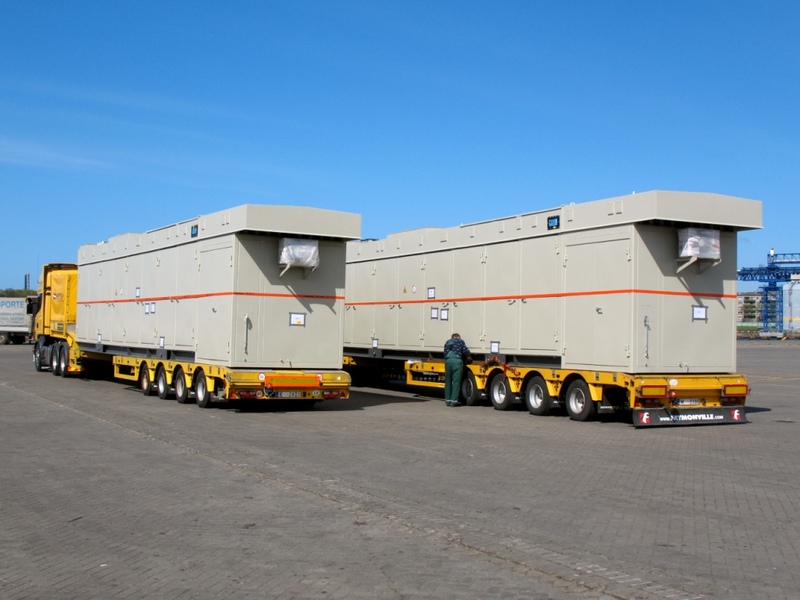 Transportation of the equipment was done with 2 trucks in one lot in order to minimize customer costs.